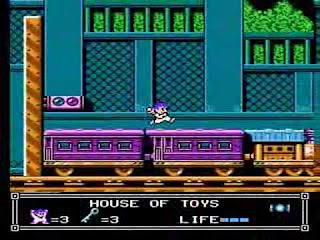 Little Nemo: The Dream Master was an old NES game from Capcom based on the 1989 animated film Little Nemo: Adventures in Slumberland. Of course, I didn't know that when I was playing it as the US didn't get the movie until 1992, and I definitely didn't know about McCay's comic series from the 1900's and 1910's, so when 1992 came around I was a little confused. I was also 11 years old, so cut me a little slack. 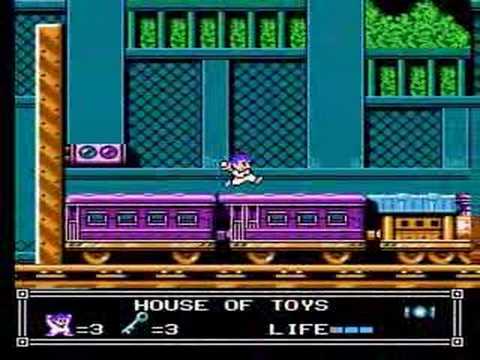 Anyway, the game had Capcom's colorful style and high-end presentation that the legendary company put into its Disney-licensed games like Ducktales and Rescue Rangers (both great games), making it an insta-try when I saw it on the shelf at the local rental place. What I got was one of the most difficult games I'd played at the time. The purpose of the game was to guide Nemo through Slumberland and rescue King Morpheus. Simple enough, but the only heat Nemo was packing was a pocket full of candy. Yes, candy. You could feed it to animals and, in return, they'd let you ride them like with a huge frog or just give you their powers like with the bumble bee. Of course, this is from memory. I seriously could have imagined this after getting beat up at school for all I know. You used these abilities to find your way around the level, get some keys, and finish that section. Only it was difficult. Yes, difficult. Like, I don't think I beat whatever constitued the third level in that game, if even the second. I DO remember using some Cheats McGeats device or code or something to get to the end of the game, but I think without that you're not allowed to beat the damn thing. The thing that stands out about this game for me, though, isn't the polish or the difficulty. It's the movie. I must've watched that VHS tape 40 times when I was younger and will probably end up buying the DVD sometime this week thanks to remembering this game. In my opinion it's an animated classic that's in the same league as any Disney title from the late 80's and even the younger-aimed Miyazaki titles like Kiki's Delivery Service or My Neighbor Totoro. Does that make me look at the game with rose-colored glasses? Probably. But the ideas, design and difficulty of the game and its sadistic levels are enough alone to give the game legs to stand on. The source material is just an added bonus for the NES classic. 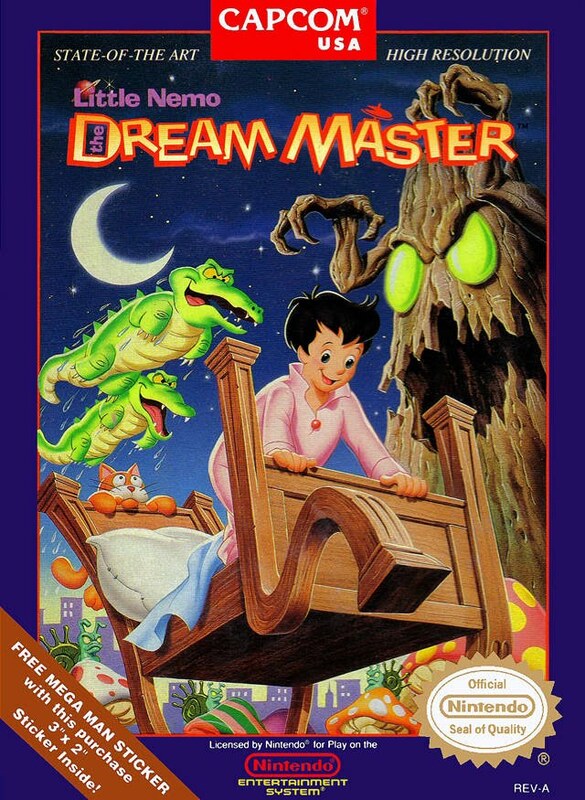 These days, you won't find Little Nemo: Dream Master digitally outside of your usual questionable means. I'm actually curious if licensing for the NES game is viable or reasonable for a Wii Virtual Console release. Regardless, if you want to see someone talk about the game with the same respect for both the game and its origins, check out HVGN (not AVGN) on YouTube with his review. Comes off a little cheesy at times, but I'm pretty sure if I were on film I'd be cheesy AND boring, so more power to this guy.